SEOUL, Aug. 14 (Yonhap) — The absence of long-running Super Junior member Kyuhyun, who is currently serving in the military, left Super Junior fans eagerly waiting for next year, when the boy band will return with the full 11-member lineup. 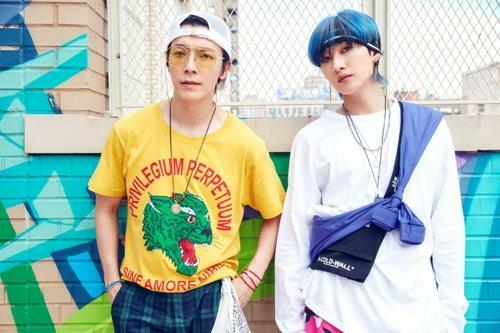 Filling the void, Super Junior’s D&E, a subunit of two members — Donghae and Eunhyuk — will return to the K-pop scene with the duo’s second extended play, set for release on Thursday. The EP, titled “Bout You,” is the duo’s second record since “The Beat Goes On” was released in March 2015. The title track, whose Korean title translates as “From Head to Toe,” is a composition by Donghae, a rare feat for an SM Entertainment artist to write his own title track. 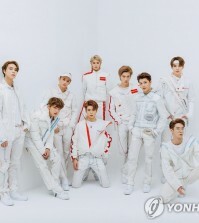 The song is a trap hip-hop number that depicts a boy’s love confession, whose music video and concept images were filmed in the streets of New York. 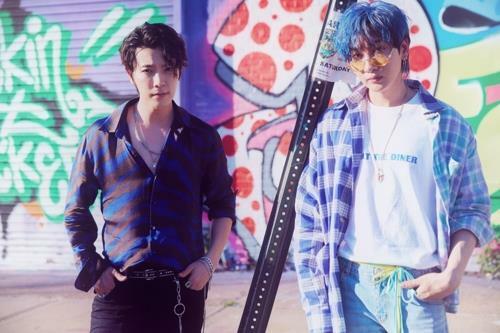 “Trap hip-hop is a genre that many people are already familiar with, but for Super Junior-D&E, it’s the first attempt,” Donghae said in an interview with Yonhap News Agency on Monday. The songwriting is a result of Donghae’s long-time friendship with Eunhyuk, which he said captures the essence of the duo’s charms from the perspective of an insider. “I met Eunhyuk at the age of 15 and (ourlong friendship) enabled me to know when he shines most brightly,” the 32-year-old Donghae said. While the format of Super Junior pushed the members to aim high and go global, the subunit serves as an outlet to reach more easily out to fans, Eunhyuk said. “Super Junior is into global challenges. Super Junior members are brooding over whether they should return with a new image” as the group is set to make a comeback, he said, referring to the 11 members’ new record following Kyuhyun’s completion of his military service next year. “In contrast, Super Junior D&E is more into easy-listening songs. The reason we chose trap hip-hop this time is because the young generation is very familiar with that. I hope the public can feel at ease with our music,” Eunhyuk said. 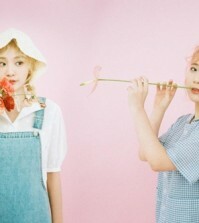 The duo said they are not much distressed by how well their music fares on the charts, although they are sometimes “concerned” with rankings. “Because we know through our concerts and other activities that we are much loved by our fans, we are not under pressure in terms of ranking performances,” the duo noted.